Amy McShane, Kirsty McGiw, Tanith Nesbitt and Rebecca Hunt from The Service Users Group 16+ held a Car Boot Sale for PIPS Newry & Mourne in May in Slieve Donard Car Park in Newcastle. 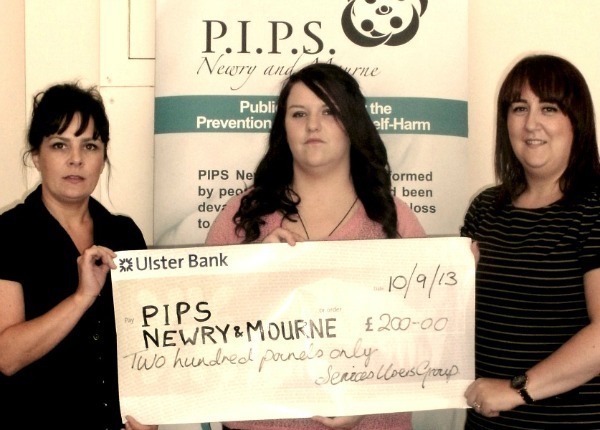 PIPS Newry & Mourne would like to express sincere thanks to the Group who raised £200. The girls would like to thanks anyone who donated or helped in any way.